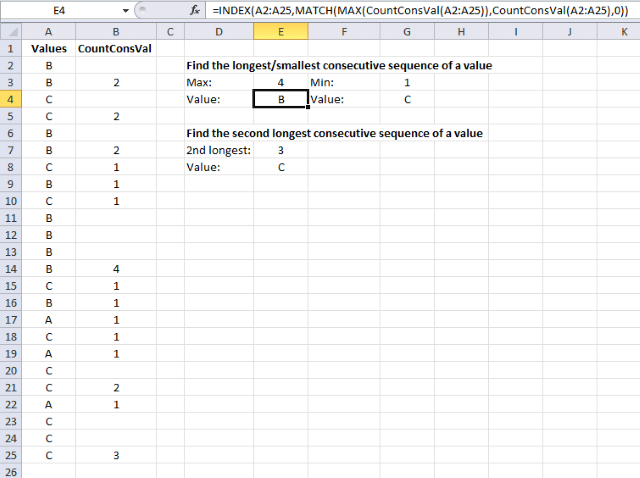 This post Find the longest/smallest consecutive sequence of a value has a few really big array formulas. Today I would like to show you how to build a simple udf that will simplify these formulas significantly. 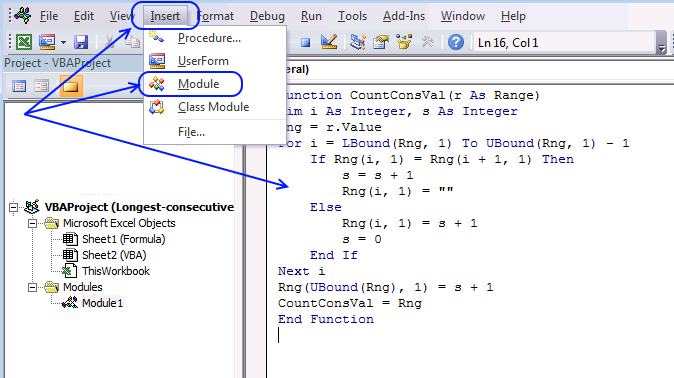 The following user defined function returns the size of each consecutive sequence in a range. The udf is entered in cell range B2:B25, see this picture. The udf returns an array with the same size as the argument range. The cell range has 24 cells and the array has 24 values. Copy the code above and paste it to the code module. A user defined function procedure always start with "Function" and then a name. This udf has a single argument r. Variable r is a range. Variable i and s are declared data type Long. 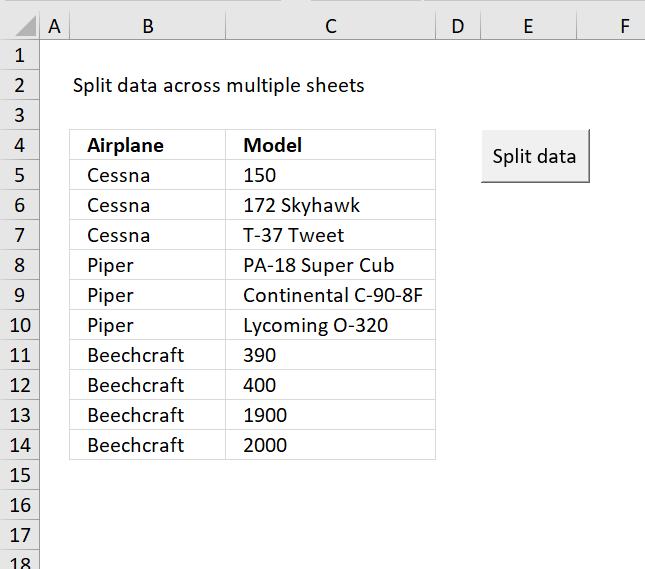 Read more about Defining data types. 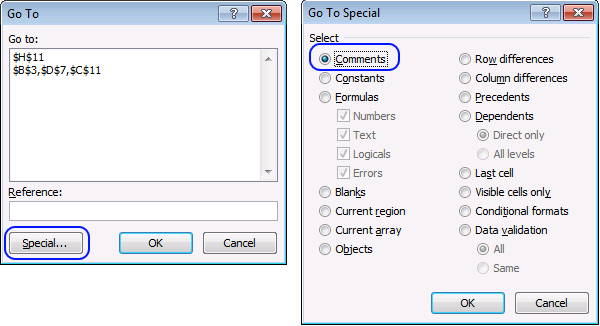 Repeats a group of statements a specified number of times. LBound returns the lower bound of an array and UBound the upper bound. LBound(array, dimension) UBound(array, dimension), the dimension arguemnt can be omitted if the array is a one dimensional array. In this case the Variant Rng is a two dimensional array despite the fact that the range r is a one dimensional array. UBound(Rng, 1) returns the number of rows in Rng array. A function procedure ends with this statement. How can i do this with colorformatted cells?. 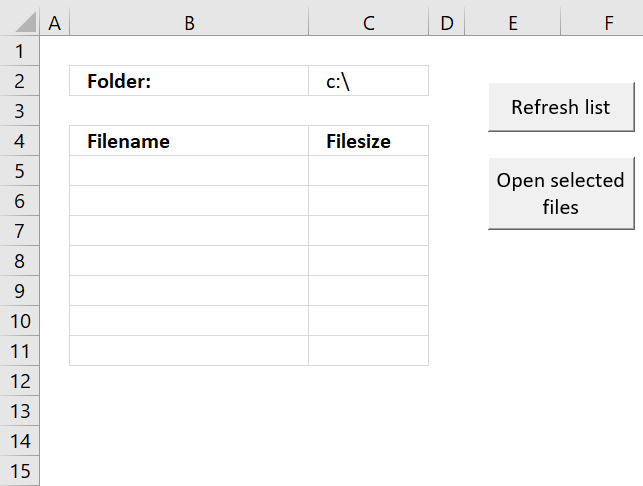 All the cells have the same value (1) the range is A1:A99999 and some rows are colorformatted with red using a different sheeth(table) and vba code. Please helpme, If I change the numnber 1 by zero. 1. How many consecutive zero 2nd logest? 2. How many consecutive zero from left to rỉght in a row? 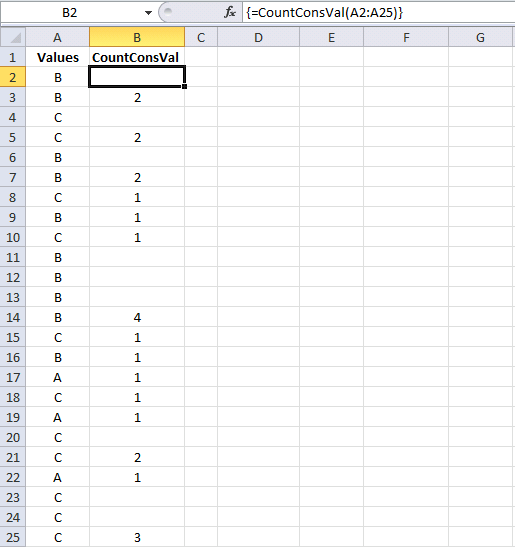 The values in column B show how many consecutive values there are in column A, for each group. I am a newbie at this. I have been trying to follow your instruction on how to do it but I can not seem to do it right. Copy-pasting the udf down the rows does not seem to work for me. Instead of alphabets in column A, I used their corresponding ordinal numbers, such A = 1, B = 2, C = 3. 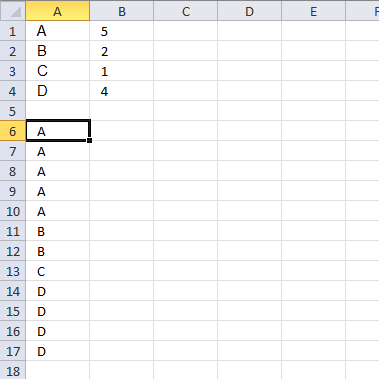 For column B, instead of just the number, it must include the letter it counted, like "3 C's" in B25 cell which is "3" only. I hope you could help me with this. Thank you. Copy-pasting the udf down the rows does not seem to work for me. No, the following steps allows you to enter the UDF as an array formula. 1. Select cell range B2:B25. 2. Type: =CountConsVal(A2:A25)&" "&CHAR(A2:A25+64)&"'S "
3. Press and hold CTRL + SHIFT simultaneously. Instead of alphabets in column A, I used their corresponding ordinal numbers, such A = 1, B = 2, C = 3. For column B, instead of just the number, it must include the letter it counted, like "3 C's" in B25 cell which is "3" only. See formula in step 2 above. Thank you so much for the help. It worked perfectly! 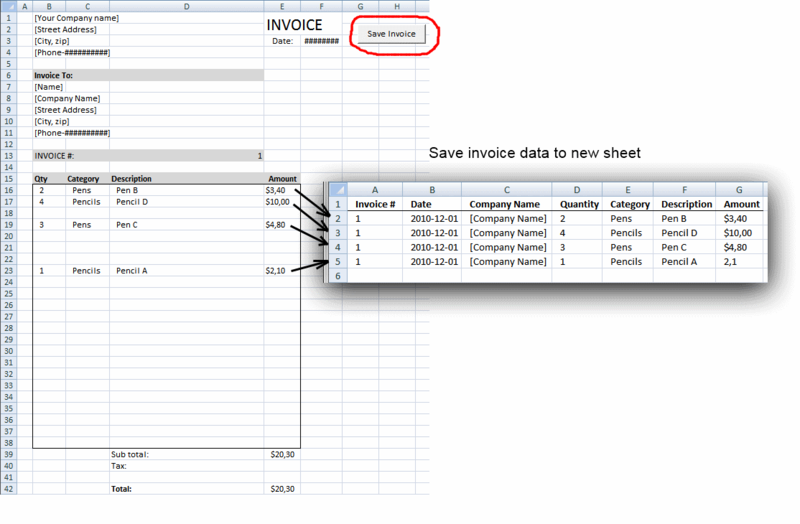 The formula does not work when the data is displayed horizontally.